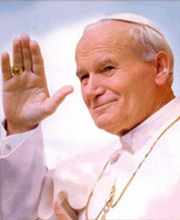 Our Parish is very found to the “love of neighbour” (regardless their confession, nationality or social origin), based on facts and the hope of strengthening in the eternal life. “What good is it, my brothers, if someone says he has faith but does not have works? Can that faith save him? If a brother or sister has nothing to wear and has no food for the day, and one of you says to them, “Go in peace, keep warm, and eat well,” but you do not give them the necessities of the body, what good is it? Our parish, by the life it develops, is committed to practice the Christ’s Gospel, the Holy Mystery, the study of the Holy Bible, the practice of the Virtues, the submission to the Church Magister. Both the Parish of CORDOS and the Parish of BACIU were founded before 1948. The Greek-catholic Parish of CLUJ-CORDOŞ, was founded in 1946 and disposed of a chapel built in brick in 1924, and renovated in 1946, located on 50 Calea Baciului street in Cluj-Napoca. At present, it is an Orthodox church. The last priest of the Parish of CORDOŞ was the venerable dean Gheorghe Sima who confessed his faith with the price of his life for this Parish, in the communist prisons. In 1948, the whole Greek Catholic Church, including this Parish was banned by the communist regime by decree 358. 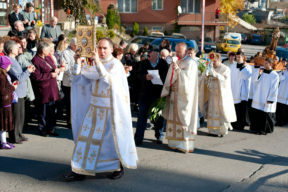 In 2007 the Parish of CORDOŞ and in 2008 the Parish of BACIU were re-opened by the celebration of the Holy Liturgy by the Greek-catholic priests, RESSURECTION which occurred after almost 60 years. The Greek Catholic Church is a Byzantine rite church with was formed by the unification of several Metropolitans or dioceses with the Rome Church. The Greek Catholic Church din România a luat naştere în anul 1700, d.C., după ce o parte din Biserica Ortodoxă a revenit la Biserica Romei prin Episcopul Atanasie Anghel, dezbinată în anul 1054. The name of “Greek-Catholic” was used to make the distinction between the united (Greek-Catholic) and not united Byzantines, known as “Greek-oriental”, etc. Greek-Catholic are also the Melchites (Syrians) and Italian Albanese (Sicilians, native Corsicans). “CATHOLIKI ECLESIA” was written for the first time by St. Ignacio of Antioquia, a Holy Father of the 2nd century D.C.
– Only the language differ, such as “Duh = Spirit,” “Slavă = Mărire”, “Doamne miluieşte = Doamne îndură-te spre noi”. Let’s remind that St. Peter (“the Apostles’ Coryphaeus”) and St. Paul (“the Apostle of the Peoples”) died in Rome in 67 d.C. The Greek-Catholic Church played a key role in the culture and civilization of the Romanian people, especially Bishop Inochentie Micu Klein, “Şcoala Ardeleană” (Romanian Transylvanian Society) (Petru Maior, Gheorghe Şincai, Samuil Micu, Ion Budai Deleanu) and other schools founded in Romanian. In 1754, the Greek-Catholic bishop Petru Pavel Aron opened at Blaj the first ever elementary school with tuition in Romanian. before 1948 our Romanian Church United with Rome, Greek-Catholic, was major in Transylvania (2 million believers, 2500 Churches, 1700 priests), and did not conspired in any manner with the communist state, paying a painful price for it (sacrifice, martyrdom). Our parish purchased in 2008 a land surface, by the aid of some donors, where we built a wood church, by the help of our generous parishioners. At present we develop our religious activity by the celebration of the Holy Liturgy and the Holy Misteries. We intend to purchase the neighbouring garden in order to build the Church and a parish complex, that is why any financial support is welcome! 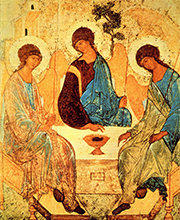 The quality and the presence of the religious services are the main components of the concept of “love of wisdom”, also called philosophy and “love of beauty”, also called philokalia, which are the grounds of our church. Beside the concept indicated above, it is necessary to mention a warm spirit to the suffering or abandoned persons in the everyday life. By our experience and continuous preparation of our parishioners we want to continue being your best friend. Aenean eu orci non nisl dapibus tincidunt. Pellentesque vel semper orci. Vestibulum nisl dui, venenatis quis blandit fermentum, tristique scelerisque tellus.Donec auctor tincidunt libero eget aliquam. Donec quam erat, fermentum ac lorem nec, congue laoreet turpis. Proin hendrerit, lorem vitae congue laoreet, justo est scelerisque nulla, eget luctus turpis mauris eget ligula. Morbi quam orci, tempor ut laoreet vel, rutrum mollis est. Fusce vitae dolor metus. Sed at dictum lectus. Maecenas interdum venenatis libero, et convallis libero vestibulum a.Donec auctor tincidunt libero eget aliquam. Donec quam erat, fermentum ac lorem nec, congue laoreet turpis. Proin hendrerit, lorem vitae congue laoreet, justo est scelerisque nulla, eget luctus turpis mauris eget ligula. Morbi quam orci, tempor ut laoreet vel, rutrum mollis est. Fusce vitae dolor metus. Sed at dictum lectus. Maecenas interdum venenatis libero, et convallis libero vestibulum a. Suspendisse in posuere purus, at hendrerit arcu. Integer sed nulla mauris. Nunc tincidunt vitae odio quis hendrerit. Maecenas dapibus tortor in est ultricies eleifend. Maecenas blandit ligula eros, vel lobortis magna scelerisque cursus.Proin hendrerit, lorem vitae congue laoreet, justo est scelerisque nulla, eget luctus turpis mauris eget ligula. Morbi quam orci, tempor ut laoreet vel, rutrum mollis est. Fusce vitae dolor metus. Sed at dictum lectus. Maecenas interdum venenatis libero, et convallis libero vestibulum a. Suspendisse in posuere purus, at hendrerit arcu. Integer sed nulla mauris. 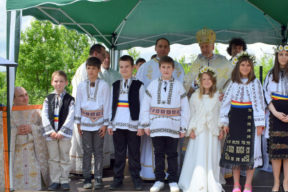 A feast of joy for the Baciu-Cordos parish was on Sunday, May 14, 2017, when, in the middle of them, the Bishop of Cluj-Gherla, PS Florentin Crihalmeanu, the faithful celebrated their parish priest, John Pasca, 10 years after priestly ordination. At the same time, eight children were admitted to the heart of the parish community, who, for the first time, attended the Holy Mass in the open sun in the spring sun in the courtyard of the church on a green hill, guided by the priestess lady. The Holy Liturgy was celebrated at the improvised altar table by PS Florentin assisted by a group of priests, Cristian Sabău, Dean of Cluj I, pr. advisor Romulus Silaghi, pr. advisor Marius Cerghizan, Cluj priests and invited priests, Andrei Borzaşi from Oradea and pr. Gelu Ardelean, protopop of Turda. The liturgical responses were given to the students of the Eparchial Theological Seminary in Cluj-Napoca. 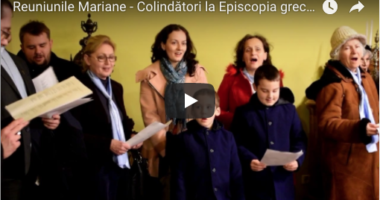 A large participation was from the Mariane Reunion, very active in this parish; the mayor of the village, the local authorities, the parishioners, were also present. 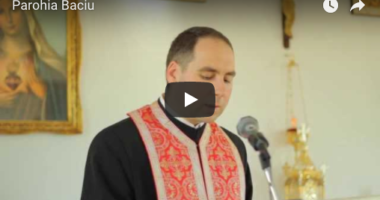 On Sunday, May 15, 2011, PS Florentin made a pastoral visit instead. Baciu, Cluj County, at the “Holy Trinity” church, where the parishes of Baciu and Cordos are being run by Pr. Ioan Pasca. 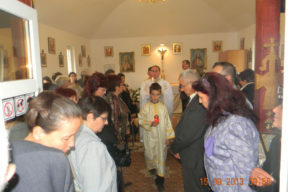 On the occasion of his first visit to the wooden church (sanctified in 2008), PS Florentin celebrated the Divine Liturgy, during which he administered the Mystery of the Holy Mother to young Harald and the First Holy Communion to the five children prepared by the Sr. CMD’s Cross: Ovidiu, Ioana, Anda-Elena, Monica, Olimpia. At the Holy Altar mass conceived Pr. Cristian Sabău, Protopop of Cluj I, pr. Vasile Nistor from the Fortress of Fata, Floresti, pr. Alexandru Hruban from Asoc. 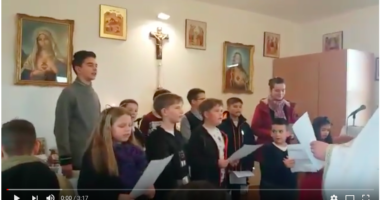 Caritas – Cluj and pr. Florin Isac, ceremony. The faithful from the two parishes participated, at the celebration being invited. Ioan Pop, mayor of Baciu, vice-mayor, local councilors. Visit to the sick for confession and sharing. Daily, before or after the Divine Liturgy. 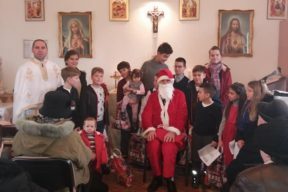 On the occasion of the birth of our Lord Jesus Christ, a beautiful celebration took place in the parish. Lord Bless them and reward hundred times those who “love the livery of Your house”, founders and benefactors!